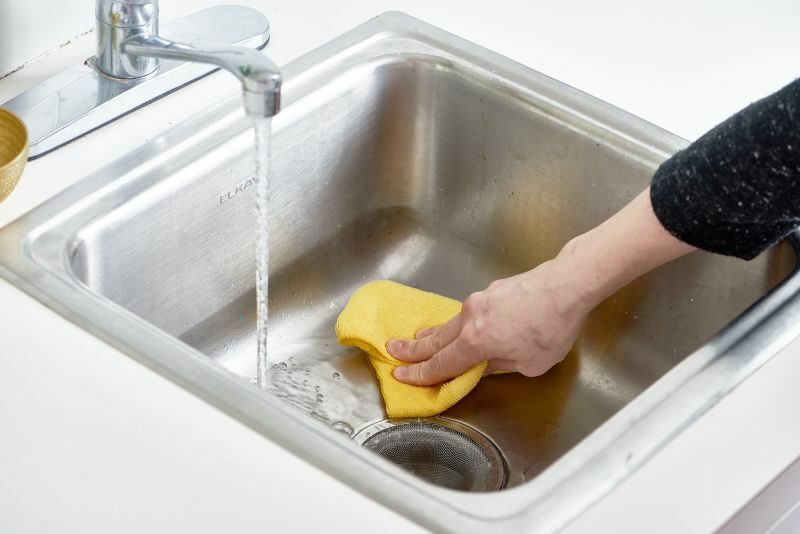 Clogged Sinks – Avoid draining oils and greases down your kitchen sink. Fatty substances can solidify in your pipes and clog your kitchen’s plumbing. Instead of pouring cooking oil and grease down the drain, let it cool, wipe it up with a paper towel and dispose of it in the trash. Using strainers in your sink drains will also help prevent clogs by catching larger items that might otherwise slip down the drain and cause issues. Additionally, clean your plumbing fixtures with vinegar to remove any build up. This will help ensure a free flow of water. As an added bonus, your faucets will be sparkling for your guests. Warm air rises, and turning your ceiling fans on reverse forces the warm air back down where you want it, ensuring your home reaches a comfortable temperature quickly. This gives your furnace a bit of help when it comes to keeping your home comfortable. There’s no reason to have your furnace heating your home when you aren’t there to enjoy it. Use your programmable thermostat to lower the heat in your house while you’re away, and heat it back up to a comfortable temperature just before you come home. When your air vents are obstructed by furniture and curtains, your furnace can’t get the air it needs to work properly. Clear the area around your air vents, and vacuum or sweep around air vents regularly during the winter months to keep dust from gathering. When your furnace’s air filter becomes clogged with dust particles, it causes your furnace to work harder than usual to draw air in. Replace or clean your filters every month to ensure your furnace can get the air it needs. Mark on your calendar when to change your filter so you don’t forget this very important task. Lastly, an annual inspection is essential to keep your furnace running efficiently because it gives a technician a chance to clean dust and debris from the furnace’s interior and replace worn parts. 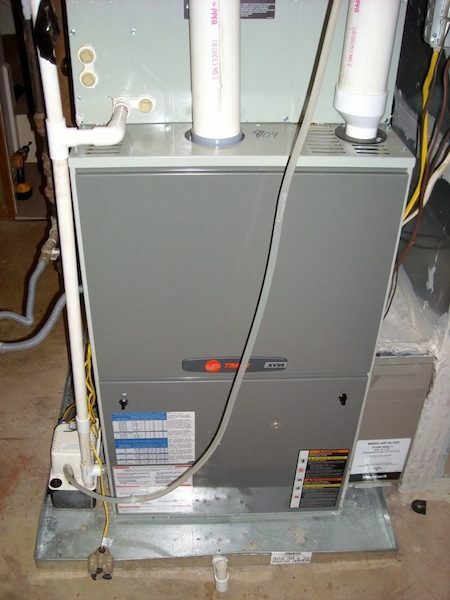 Inspecting your furnace annually also prolongs the life of the unit and can prevent costly breakdowns. 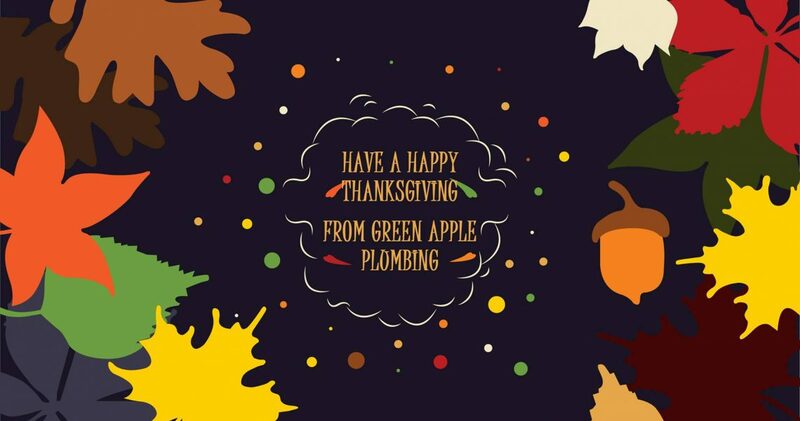 Happy Thanksgiving From Green Apple Plumbing & Mechanical NJ! We would like to wish all of our customers a very happy and healthy Thanksgiving holiday from your Friends at Green Apple Mechanical. And remember don’t put turkey bones down the garbage disposal! Did You Know Toilets Have Their Own Holiday? World Toilet Day aims to raise awareness of sanitation and hygiene issues around the world. Poor sanitation and hygiene refer to lack of access to clean drinking water toilets and showers. Poor sanitation drastically increases the risk of disease and malnutrition, especially for women and children. Today, 2.6 billion people, about one-third of the population on the planet, do not have access to proper sanitation, a problem that kills nearly 1 million young children every year. 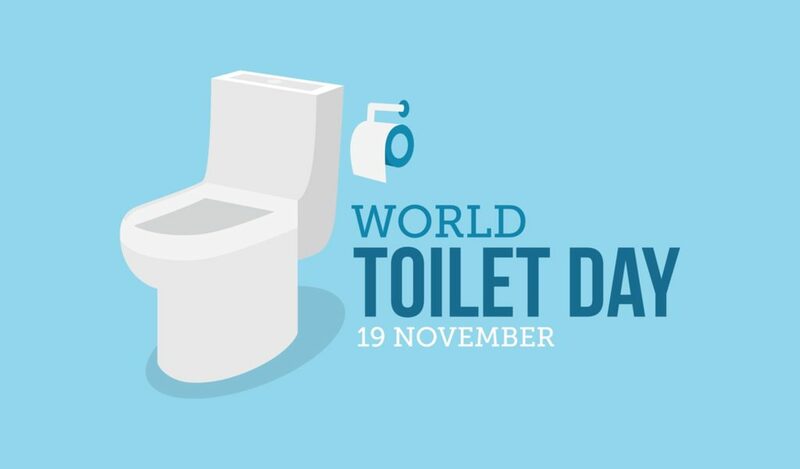 World Toilet Day was designated by the United Nations in July 2013. It is celebrated annually on November 19 as people all over the world take action and support the basic human right of access to clean water and sanitation. How Often Does My Furnace Need To Be Serviced? Professional maintenance is a lot more than just a look-over that can be easily overlooked. Proper care ensures your system gains a lot of crucial benefits that aim to keep your heating costs (and stress level) much lower when the cold kicks in. Lower heating costs. A well-maintained system can perform its function faster, better, and at less effort on the machine’s part. This means you’ll get all of the high-quality comforts you need without your system overworking and using too much energy, which directly impacts your monthly energy costs. Higher quality comfort. That efficiency also spells out better comfort. Whether you use oil heating, gas, or an electric furnace, you’ll get better heating that never leaves cold spots or cool rooms. Less risk of breakdowns. One of the most important parts of a professional maintenance service is ensuring your system is working optimally, and all components are in great working condition. The vast majority of seasonal breakdowns can be directly traced to poor component health or air flow problems; both issues are addressed with an inspection! Longer service from your furnace. Depending on your type of furnace, you can generally expect around a decade or slightly more of service from your furnace. But that amount of time takes into account getting inspections and maintenance, without which you can cut that decade down to even just a few years! 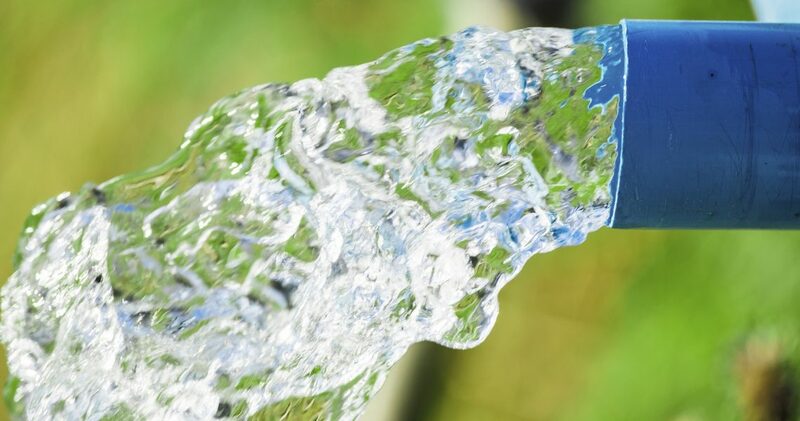 Run a trickle of water: Run a thin trickle of water from the faucet furthest from the water line coming to your house. Usually, this is in a room at the back of the house. 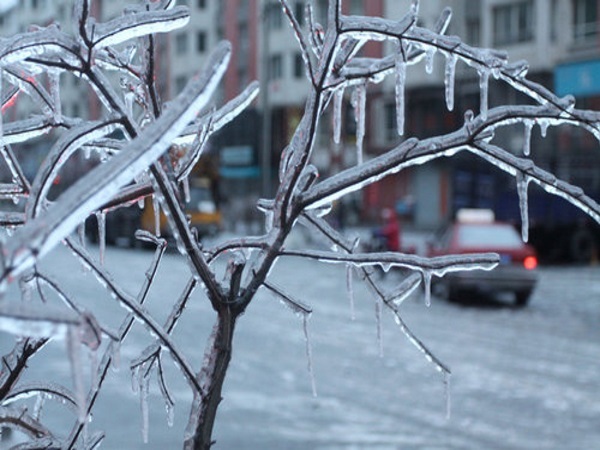 Allowing the water to circulate through your home’s plumbing helps to keep it from freezing. Some consider this a waste of water, but the cost of the water used is extremely slight compared to repairing broken pipes and the resulting water damage. Also, the water can be captured in a bucket and used for other purposes around the home, like watering plants and washing dishes. Disconnect and drain outdoor hoses: Detach all hoses from faucets and allow them to drain. This action guard against the water in the hose or pipe from freezing and bursting the faucet or pipe to which it is connected. Eliminate the amount of cold air coming into the home around water pipes. If your home has a crawl space, cover the outside vents to prevent winter winds from freezing the pipes. Insulate pipes or faucets in unheated areas: Pipes located in unheated areas of your house, such as a garage or crawl space under the house or in the attic, are subject to freezing. If you have time to do this before freezing temperatures arrive, wrap these pipes with insulation materials made especially for this purpose. These materials can be found in most hardware stores or home improvement centers. If you or your tenants are leaving for a period of time, make sure that the heat is kept on your property. It may be difficult to convince your tenants to leave their heat on when they are away, especially if they are responsible for paying their own utilities. 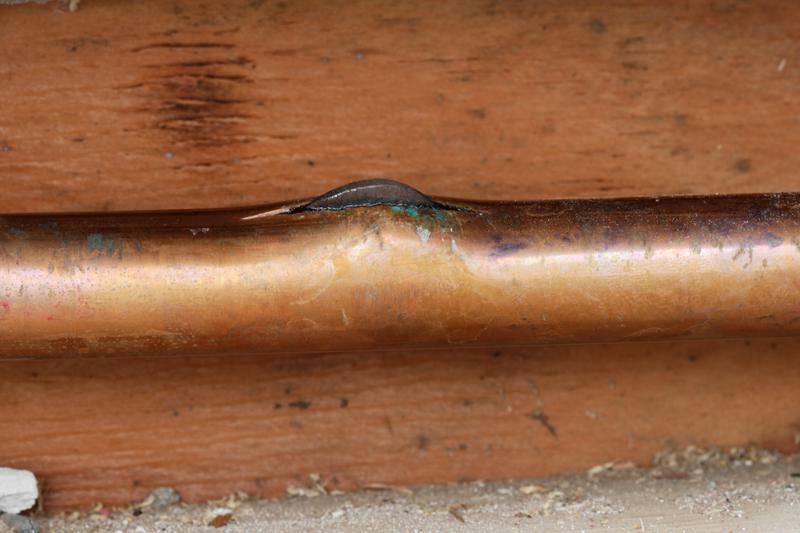 You should inform them that the heat can help prevent pipes from freezing, and if your pipes freeze and burst, it can cause a lot of water damage to the property and to their possessions. If you are afraid a pipe will freeze, you can allow the faucet to drip slightly. Allowing the faucet to be open like this will relieve pressure in the system. If a pipe freezes, it is actually the pressure that is created between the blockage and the faucet that will cause the pipe to burst. Allowing the faucet to be open will prevent this pressure from building up and thus, keep the pipe from bursting. You should cover any holes or cracks that exist near pipes. This should be done on both interior and exterior walls. Doing so can help keep the cold air out and the warm air in. Insulate the attic. Is there insulation in your attic? If so, how much? The existence and amount of insulation that is there is crucial to your home’s ability to hold in the rising warm air. If checking your attic insulation status is not something that you can easily do, contact a local contractor or insulation installer for an in-home evaluation. Insulate your walls. Some older homes have very little insulation in their walls. The minimum that usually suggested for exterior walls is 6” thick. But, some have only four inches. Removing your walls to add more fiberglass insulation is all but impossible and can be a very involved home repair. Blown-in insulation is an easier and more efficient option. The amount of insulation in your walls can be increased quickly and easily by using it. If you think that some of your home’s heat loss could be attributed to the lack of insulation in your walls, then consider adding some blown-in insulation. Replacement windows. Ill-fitting, warped, old windows can certainly be a contributing factor to your heat loss. Old wood windows with single pane glass are a far cry from the double pane insulated glass windows of today. 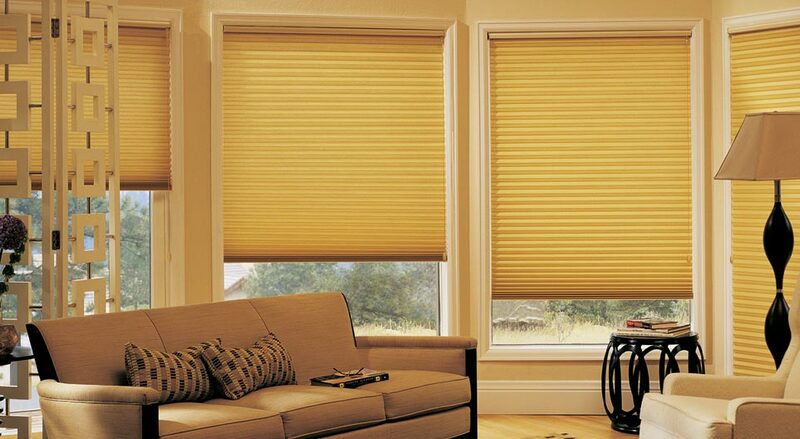 Vinyl replacement windows are custom made to fit and are composed of the highest quality vinyl. These windows will add beauty while making your home more energy efficient. Replace your doors. Entrance doors can be the focus of the exterior of your home. They can easily add character, color, and style to set your house apart. Unfortunately, if these doors are old, they very well could be allowing cold air into your home and hot air out. Replacing your doors with a new replacement fiberglass or steel door can stop this unwanted air exchange. As temperatures drop, you’ll want to make sure your hoses make it through the colder weather. Start by disconnecting each hose and draining it, ensuring any leftover water has been removed. If any water is left inside the hose when it gets really cold, it will freeze and can potentially break it. To protect your outdoor faucets from freezing temperatures, invest in a very affordable foam faucet cover. It looks like half an igloo and basically acts as an insulation to keep the outside cold out. Save your faucets from freezing with this very simple and quick solution. If you’re not home for an extended period of time, it’s a good idea to shut off water valves as temperatures begin to drop. Some water meters are located inside, while some are located outside. Look for a round, wheel-type handle and turn it all the way to the right, clockwise. To check whether it’s shut off, test each faucet by turning it on to its highest level. The water should eventually drain and no longer flow. If you have a ladder handy, carefully use it to inspect the gutters around the exterior of your home. Clear out any leaves or debris that could block water from flowing and draining. During the colder months, your water heater has to work harder to deliver warm water when you need it. As temperatures drop, make sure your water heater is set to 120 degrees to ensure it’s prepared to perform at its best. Having a technician check your furnace significantly reduces the number of furnace repairs that you could have possibly done. Some heating problems can easily be averted through checkups. This is because the checkups include cleaning the furnace as well as fixing any small problems before they turn into major problems. Remember, your furnace works overtime during fall and winter due to the enormous demand of warming the home and this eventually results in system failure if a checkup is not done on time. 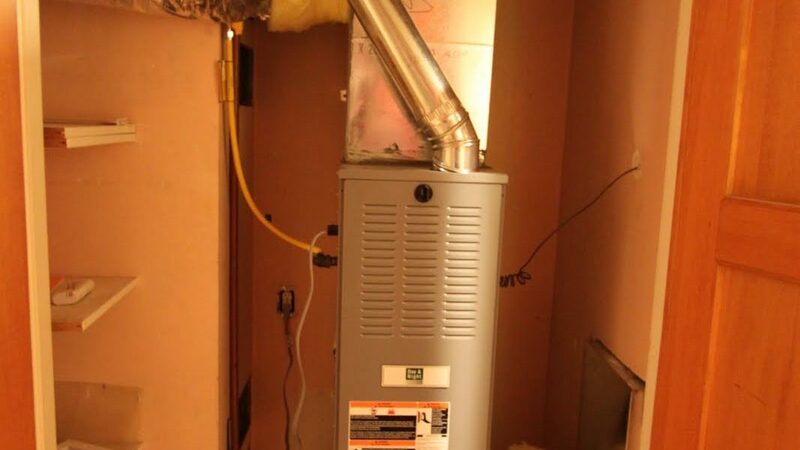 Getting your furnace checked before winter is not only convenient but it will also save you on time and inconvenience. A furnace checkup will definitely save you from sitting in the cold as you wait for the technician to come. Besides, when done at the right time the charges are bound to be more affordable.